Remember the baking books you had as a child? Well DK have done a grown up version of that! This is a huge book. I'm pretty sure that in some countries it may be classed as a lethal weapon. However, no such trouble here. This book has 350 recipes, 80 of which are step by step guides. If you have ever been heard saying 'I can't bake' or 'I'm a disaster in the kitchen'... try this book. 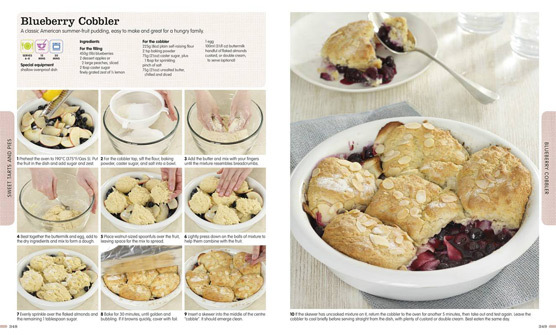 The recipes are easy to follow, but there's enough in there for the experienced baker too. 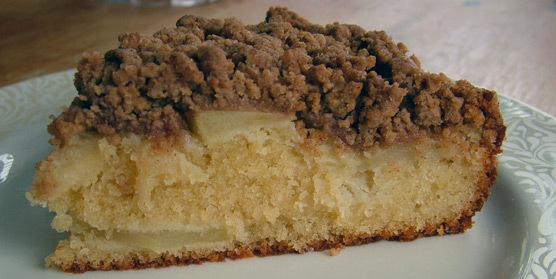 One of the most daunting parts of baking is knowing whether you have done something right. What does creamed sugar and butter actually look like? Define fluffy... I'm confident that even the most nervous baker could create something to be proud of from this book. It starts with your quintessential bakes such as the Victoria sponge and swiss roll, but also tackles pastry, puddings and decoration. Below is an example of one of the step by step guides. This just shows how easy it can be! Time to call for back up! Because I've been ridiculously busy with the Sugar Plum Bakery Pop Up, I decided to enlist a helper with this one. I wanted to make sure that these recipes were reliable before telling you all how super easy they are. So... I enlisted the help of one of my dearest friends, Emma. She's a busy wife and mum so is a little pushed for time too! She does like a good bake though, so she was a perfect guinea pig! I gave her free reign to make whatever she wanted. I had one caveat... she had to report back in pictures! 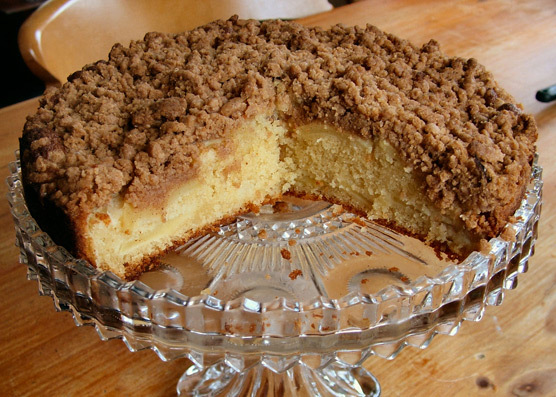 She had made a beautiful Apple Streusel cake for our last Clandestine Cake Club so was really keen to try a different version. There was masses of excitement when she saw that the topping was grated on. I think you will agree that her finished product looks amazing! I can report that she found the recipe easy to follow and all was well in the Jones household after that cake was cut! I think we can safely say this recipe was a success. This is a great all rounder. It's the sort of book that ought to be used as a textbook in schools - I say this through gritted teeth after I made fruit salad, pizza with a pastry base and angel delight in my home economics lessons... Schools... take note! One of DK's Step by Step videos - Whoopie Pies. 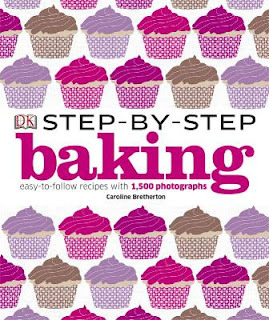 Disclaimer: I reviewed this book because I hoped it might give everyone the confidence to bake! I received no payment from the publisher for doing so.